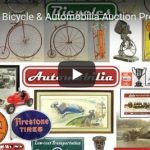 Terms of Consignment – COPAKE AUCTION INC. TERMS OF CONSIGNMENT TO COPAKE AUCTION INC.
1) Please contact us to discuss the commission for your consignment 518-329-1142. 2) The consignor will be paid (40) days after the day of the sale, contingent on payment being received from the buyer. Items not paid for (30) days after the sale can either be picked up by the consignee or resold by the auction house. 3) We charge an 18% buyer’s premium for in house sales and 23% buyer’s premium for Live Auctioneers and Invaluable/AuctionZip sales on top of the hammer price as indicated in our Conditions of Sale, which will be retained by the auction house. 4) A confirmation list of consigned lots will be supplied to the consignor by Copake Auction. 5) Once a lot is submitted for auction, it may not be withdrawn unless a $50.00 withdrawal fee is paid. 6) Coverage for loss, theft, or damage of property will be incurred by the consignor unless an insurance fee of 3% of the “value” is paid by the consignor. The “value” of each lot must be indicated by the consignor and agreed upon with the auctioneer when submitted for auction. This “value” will be used for insurance purposes and repayment to consignor if goods are lost or damaged. 7) All property will be sold without reserve unless agreed to in writing prior to the sale. Should a lot not reach a reserve price the consignor will be charged $25.00 per lot. 8) Advertising of lots will be done at the discretion and expense of Copake Auction. 9) The consignor represents and warrants that he/she is the sole owner of the property to be consigned and sold by Copake Auction and that he/she has the full legal right to sell or cause the property to be sold; that the property is and will remain free of liens; and that the clear title and right to possess the property will pass to the buyer. The consignor holds Copake Auction harmless from any claims, damages or expenses, including legal fees, arising out of any failure or breach of their representations and warranties. 10) The consignor authorizes Copake Auction to accept the return and to rescind the sale of any property without limitation, at our discretion. If we in our best discretion believe a) that an item is defective, b) an item is not genuine, c) that any property is not “as represented” in our description, d) that the offer/sale of the property may subject us and/or the consignor to any liability by the buyer, we will rescind the sale. In such an event, the consignor agrees to reimburse Copake Auction in an amount equal to what was originally paid to the consignor for the said item. The property will then be returned to the consignor. 11) Catalog descriptions of lots will be written by or approved by Copake Auction. Any “grouping” of consignor lots will be at the discretion of the auctioneer. Also at the auctioneers discretion will be the placement of items featured in the catalog and the use (or not) of photographs of the items in the catalog. 12) We will make no guarantee or warranty as to the final selling price of any item. Estimated values by us shall not be deemed as any such guarantee or warranty.